The Coachella Valley Music and Arts Festival may be America's top music festival. 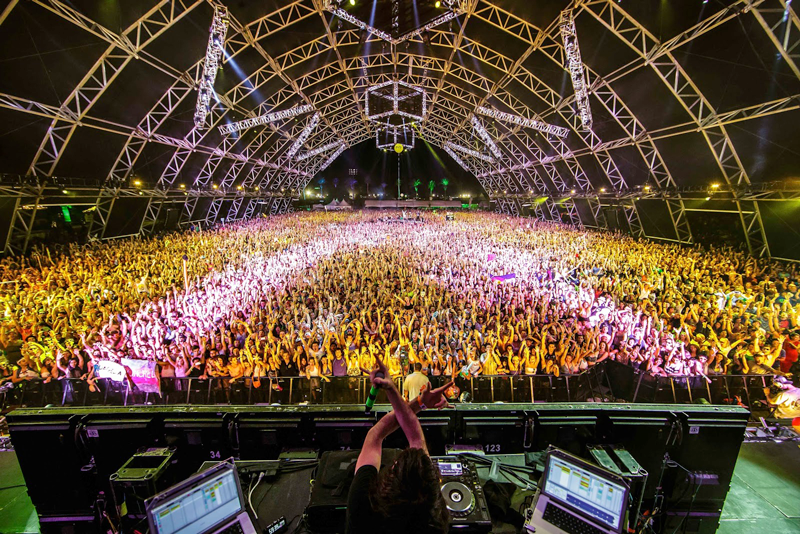 In 2014, Coachella grossed $78 million, breaking its record for gross ticket sales from the previous year. Artists at Coachella, like headliners AC/DC and Drake or newer stars Madeon and Sylvan Esso, represent the pulse of popular music. I used Mode, a collaborative SQL tool, to generate the graphs in this report. The raw data is from Wikipedia and includes some additional features like each artist's founding year and whether or not they headlined at Coachella. Here's the raw dataset and the electronic and rock reports. Hope you enjoy digging into the data!